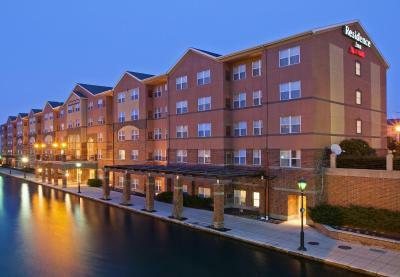 Lock in a great price for Residence Inn Indianapolis Downtown on the Canal – rated 8.2 by recent guests! We went to the Children's Museum and then stayed the night in Indy. It was a good location, close to the museum, and downtown, and the highway we needed to get home. The room was nice, I liked having the kitchenette especially with a small child. Having the canal right outside was lovely and the staff was great. One of the ladies made fresh cookies and sat them out for guests so when we came back from dinner we got a treat! I liked the location. The free breakfast was nice, but comparable to what I have had at a Super 8. So, it wasn't special. Not what I expected for a 5-star hotel at $200/night. Staff and manager helped me with a major issue. After driving more than 3.5 hrs to hotel, Booking.com did not send my reservation info over and pre-charged for a reservation that was changed. Breakfast was great. The beds were very comfortable. The coffee station was great. 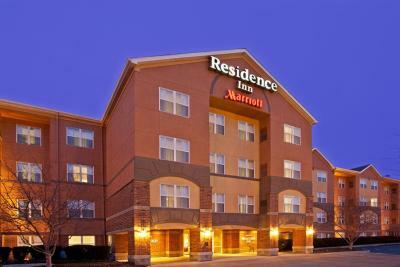 Residence Inn Indianapolis Downtown on the Canal This rating is a reflection of how the property compares to the industry standard when it comes to price, facilities and services available. It's based on a self-evaluation by the property. Use this rating to help choose your stay! This hotel is located directly on Indianapolis's scenic Central Canal and a block away from Military Park. It offers self catering accommodations and an indoor pool area. Convention Center Plaza and the Indiana State House are within one mile from the hotel. When would you like to stay at Residence Inn Indianapolis Downtown on the Canal? This air-conditioned studio has a full kitchen and a work desk with an ergonomic chair. This suite features a separate living area and a fully equipped kitchen. This spacious suite has a separate living area and a full kitchen. House Rules Residence Inn Indianapolis Downtown on the Canal takes special requests – add in the next step! Residence Inn Indianapolis Downtown on the Canal accepts these cards and reserves the right to temporarily hold an amount prior to arrival. The pullout couch was not comfortable at all. This should not be advertised as being able to sleep 4. Paying for parking is always a bummer in my book. The pool could have been bigger, but I was glad to have it indoors. The room was a lot smaller than was advertised. Very dissatisfied and disappointed. Well, start with room temperature. The room thermostat was directly under one of the registers, so the only comfortable temperature in the room was in that corner. I had to stand there and hold the handle down to flush the toilet every time. The carpets are worn and dated. The staff was not genuinely pleasant and welcoming. The night clerks misgendered me continually. As a transgender woman, I don't expect that from a hotel with 5 stars. It comes across as highly intolerant. Exspensive and parking was extra charge. Ober $500.00 total fir one night. Booking.com customer service agent did not listen to what I was saying about error, she didn't listen to the manager of the hotel either. I understand mistakes happen but this is the second time since July!! Wish it had as was whirlpool as advertised.